Ahmad Shah Abdali was a poor pathan who by enhancing his power after conquering Kandhar, brought Balkh, Sindh, Punjab and Kashmir under his control. He invaded India eight times during 1747 to 1767 and his sixth invasion which he undertook on February 5, 1762 was to annihilate the Sikhs. During this invasion his Afghan army joined by Mughal army of Sirhind and Malerkotla killed approximately 40,000 Sikhs in a single day i.e. February 5, 1762. These three armies simultaneously attacked Sikhs at different places in and around the villages Kup-Rahira in District Sangrur of Punjab. During this invasion to annihilate the Sikhs Abdali launched a large scale massacre which is termed as Vadda Ghallughara. The background of this sixth invasion of Abdali is that on 14 January, 1761 in the historically famous Third Battle of Panipat, his army had badly defeated an approximately three lakh army of Marathas. According to Kanhaiya Lal's book written in Urdu language Tarikh-e-Punjab (1881), when after this victory Abdali was taking about 2200 Hindu Marathi unmarried girls along with him to Afghanistan, while he was crossing Sutlej, Sikhs got these girls released from his clutches and sent them to their respective parents. But the end result of this valorous act of Sikhs was that Abdali who was thinking that Sikhs were nothing more than dacoits who looted money and other things from him on his return journeys, had now realized that rather than being dacoits Sikhs were a powerful community and owners of the land of Punjab. It clicked in his mind that until they are annihilated he cannot establish pathani rule in Punjab and India. Information about this Ghallughara is mostly available in Tahmas Khan Miskin's book Tahmasnama (1719) who in his capacity as a Turkish Muhammadan was a Senior Official in the army of Zain Khan, the faujdar of Sirhind. In addition to being a commander of one tukri (contingent) in the army of Zain Khan he was a scholar. Most of the historians have based their writings about this Ghallughara on his book. In his sixth invasion enraged against Sikhs Abdali had reacted Lahore in early February 1762. Dal Khalsa was quite aware that this time Abdali had invaded India only to clash with them and the Sikhs were his main target. Therefore, the Dal Khalsa decided to send their families to some south-western area beyond the reach of the invader near villages of Raipur and Gujjarawal which now fall in District Ludhiana. The village Gujjarwal is approximately 30 kms from Ludhiana in the south-western direction and is linked to Ludhiana-Malerkotla-Sangrur main road at Dehlon. As per this decision Dal Khalsa along with their families and needful luggage had come out of Majha and Doaba and encamped in the juh (uncultivated, waste or open land used as a pasture) of the villages Gurm and Dehlon which are near each other in District Ludhiana. The village Dehlon is situated at a distance of 19 kms southwards from Ludhiana on the Ludhiana-Malerkotla road. The population of this village was Sikh. The whole area consisted of sandy mounds and dense forests. There was a very dense forest in the juh of the village Gurm. The Dal Khalsa along with their families had encamped in this dense forest. According to Miskin Abdali had reached Lahore and the Dal Khalsa, had decided to tackle his army using the 2½ gash steps which they had used in the Chhota Ghallughara (Minor Holocaust) (1746). The first gash being to attack the enemy quickly when the enemy is under full control, the second being to run away quickly after the attack and the last half step was to die fighting rather than being caught alive by the enemy. According to Miskin, Zain Khan the faujdar of Sirhind was informed on 4th February, 1762 that Abdali had crossed the river Sutlej and would invade the Dal Khalsa early next morning and thus he should also attack the Sikhs early next morning. Approximately 1½ lakh Sikhs which included 50-60 thousand infantry and mounted troops, the remaining being members of their families had come towards the rohi (uncultivated land) of Sirhind area. In the meantime Zain Khan alongwith 10-15 thousand infantry and horse-riders had encamped in Malerkotla. At this time the Sikhs had reached at a distance of about 28 kms from Malerkotla. At this time the distance between Abdali's forces and the forces of Dal Khalsa was only about 15-20 kms. According to Sukhdial Singh as soon as Abdali left the dock of Sutlej, Dal Khalsa attacked his forces. The two armies had an intense skirmish. When early on February 5, Zain Khan became prepared to attack the Dal Khalsa, Dal Khalsa had also learnt about it. That is why Dal Khalsa had marched forward towards Sutlej. Zain Khan sent Kasim Khan to follow the Sikhs. Miskin says "I was also in the contingent of Kasim Khan. When we went in front of the Sikhs they ran away. We followed them for half a koh (2 kms). All of a sudden the Sikhs who were running stopped quickly and returned towards us and attacked us. Kasim Khan could not counter them and ran away, although I asked him not to run away. He did not accept my suggestion. Taking his army along with him he ran away towards Malerkotla and encamped there. I (Miskeen) alone went towards the village Kup. In the meantime those Sikhs had disappeared". It is thus clear that in an encounter in the morning of February 5, 1762 Kasim Khan's forces which also included Miskeen could not counter the Sikhs and along with his total contingent Kasim Khan had run away towards Malerkotla. Dal Khalsa decided that (i) they should send the vaheer (caravan) of their families which was in the villages of Gurm and Dehlon towards Barnala because the population of the area surrounding Barnala was Sikh and (ii) should themselves take up cudgels directly with Abdali. As per this decision three Sikh leaders - Bhai Sangu Singh Vakil of Bhai Ke Daraj, Bhai Sekhu Singh of Humblke Waas Wala and Bhai Buddha Singh started leading the vaheer by sporting a large chaadra (cloth sheet) on their spears to give direction to the vaheer of their families and the whole vaheer started walking behind them towards Barnala. When Dal Khalsa was having a pitched battle with Abdali's forces and the vaheer had hardly walked 10-12 kms from the village Gurm, the forces of Zain Khan, faujdar of Sirhind and Bhikhan Khan, Nawab of Malerkotla suddenly attacked the vaheer. At this time the vaheer was passing through the villages of Kup and Rahira which are about 4 kms apart. These villages are situated in District Sangrur at a distance of 15 kms and 11 kms respectively from Malerkotla on the Ludhiana-Malerkotla road. At that time the population of both these villages was Muslim. In this attack the Mughals butchered the Sikh families on a very large scale, which caused wide-spread hue and cry among them. When the Singhs who were fighting with Abdali's forces learnt that the enemy had attacked their families they sent one jatha under the leadership of Sardar Sham Singh Karorsinghia to protect them. This jatha vehemently attacked the forces of Zain Khan and Bhikhan Khan and sent them away from the vaheer. After this incident under the three leaders the vaheer re-started its journey towards Barnala. Dal Khalsa had challenged Abdali's forces right on the dock of Sutlej but now the security of their families which included children, women and old persons became important for them. Thus they decided to run quickly and retreat from the place where they were fighting with Abdali's forces and encircle their vaheer and then go backwards and proceed towards Malva. According to this plan Dal Khalsa stopped their encounter with Abdali's forces, retraced their steps, moved towards Malerkotla and joined their vaheer in the juh of Kup-Rahira. After reaching there, keeping their vaheer encircled Dal Khalsa was retreating but continuing the fight with Abdali's forces. As reported by Sukhdial Singh, the Dal Khalsa had drifted away Abdali's forces as if they were a dry stalk of grass. The forces of Zain Khan and Bhikhan Khan were trying to besiege the vaheer from the front side. According to Bhangu, Dal Khalsa had killed several horse-riders of the enemy and had given these horses to those Singhs whose horses had been killed. Following the Dal Khalsa, Abdali reached the villages Kup-Rahira. According to Miskin after having a dialogue with Abdali, covering a distance of about 40 kms, he had reached where the fight was going on. This means that if Abdali was in the villages of Kup-Rahira, the fight must have been going on at a distance of 40 kms from there in-between Barnala and Raikot around the villages of Kutba-Bahmania which are westwards from Kup-Rahira and fall in District Barnala. Now with the construction of direct roads this distance is only about 25 kms. As reported by Miskeen at this place armies of Wazir Shah Wali Khan and Zain Khan which included 4,000 horse riders and another 4,000 archer horse riders who were fighting with Dal Khalsa and some Sikhs had also been arrested by the Mughal forces, who were trying to release themselves from the enemy's clutches through some lame excuses. Dal Khalsa had beaten the forces of Zain Khan and his Dewan Lachhmi Narayan and sent them away from their vaheer. The policy of Dal Khalsa was to continue fighting while moving and moving while fighting. For an hour and a half, Dal Khalsa fought very vigorously but then Abdali sent two more armed contingents, as a result of which the Singhs slightly lost their footing. According to Sukhdial Singh the Singhs continued to fight very vigorously, but every time that they found that their vaheer had gone far ahead, for its security, they retraced their steps and went near their vaheer. In this way the Dal Khalsa warded off very bravely the attack of the enemy on their vaheer. The Singhs resisted this new attack of the enemy for one hour. When Abdali found that even the two contingents sent by him were not able to endanger the enemy he himself reached there with his reserve force consisting of four contingents which included 12,000 armed men. This attack of Abdali separated the Singhs from their vaheer and as such the vaheer became unattended. Sukhdial Singh has stated that this area where the battle was being fought consisted of sandy mounds and did not have any source of water. In this fierce battle if a person fell down he was trampled by hoofs and any person who got separated from his jatha could not rejoin it. When Abdali's reserve force entered the vaheer and started murdering the Sikh families, it caused heart-rending wailing among them. This dire murdering caused grievous harm to the children, women and old persons. The troubled condition through which the Singhs and their families were passing through at this time is beyond imagination of description. Seeing the pathetic condition of their vaheer, the Singhs started acting with recollected will and vigour and vehemently attacked the Afghan forces which were murdering their families. Abdali was astonished to see that even injured and profusely bleeding Singhs were fighting so vigorously. According to Bhangu at this juncture Abdali sent a messenger and called Zain Khan and scolded him saying that 'as yet you have not done what you had promised. You have not been able to besiege the Singhs from the front. You have 20,000 horse riders. Have the Singhs decreased this number by killing them? You also have the army of Malle Riya pathans of Lachchmi Narayan. Even then you have not been able to encircle these kafirs (non-believers in God or Islam). If you can hold them out only for four gharian (two hours) I will finish them all. Without surrounding them, it is not possible to kill them'. Zain Khan retorted back that 'it is not possible to besiege them from the front. To look at they seem very few but I don't know why during the fight they seem too many'. Zain Khan advised Abdali that he should leave the vaheer alone and should stop the Singhs from the front side. Thus, Abdali himself started besieging the Singhs from the front side. But the Singhs continued to march ahead and rebuffing the attacks of Abdali they proceeded six kms. further. Sardar Charhat Singh who later became the paternal grand-father of Maharaja Ranjit Singh, by remaining within the vaheer continued to stop the forward march of the enemy. Sardar Jassa Singh Ahluwalia, who was Jathedar (General) of the whole operation was inflicted with 22 wounds and also had to take the horse of another Singh because his own horse was severely wounded. Now the Singhs were going backwards protecting their Jathedar and their families. Once again with a vigorous attack on the enemy the Singhs took their vaheer away from the direct attack by Abdali. But in front were the villages of Kutba and Bahmania (which now fall in District Barnala) which had Muslim population. Both these villages which are approximately 1½ km apart are situated near the Bathinda branch canal crossing the Barnala-Raikot road. This whole area was barren and comprised of sandy mounds. The Sikhs and Hindus who lived here had vacated their houses and gone to other areas. As soon as the vaheer entered the villages of Kutba and Bahmania the local Muslims started beating and looting them. The Sikhs who tried to seek shelter in their houses were looted and killed. Right from the village Gurm this kafila had been walking without getting a drink of water. They had covered this 45-50 km. distance fighting and running. Currently, these two villages have Sikh population but at that time the whole population of these villages was Muslim. Some Sikhs tried to hide themselves in the minarets of cow dung as well as the minarets filled with jawar, millet and corn outside these villages. The Mughal army as well as the local people put these minarets on fire. As a result of which a large number of children, women and elderly people were burnt alive. There was wide spread hue and cry on all sides. When Sardar Charhat Singh saw that the enemy was burning alive the Sikh families he quickly rushed to the village Kutba. His jatha killed so many local people that their dead bodies got piled up in heaps. His jatha burnt their houses by the same fire which they had lit and also burnt their remaining minarets of jawar, millet and corn. The awe-stricken local Muslim people ran towards the Afghan and Mughal soldiers to seek protection to save their lives. But the Afghan and Mughal army itself was in great trouble because the Dal Khalsa had thoroughly crushed the soldiers of Malerkotla and Sirhind. It is worth noting that Abdali's forces broke the cordon around the vaheer several times and butchered the helpless non-combatants but every time the Sikh army re-surrounded it and kept it going towards Barnala. According to Bhangu the Dal Khalsa "Kept the vahir marching, covering it as a hen covers its chickens under its wings". According to Bhangu outside the village Kutba there was a large dhab (water pond). By the afternoon, both the forces had reached this dhab. The fighting stopped automatically as the two forces as well as the animals fell pell-mell upon the water to quench their thirst and relax. The fight stopped at this time and was not resumed by any of the two warring groups. The soldiers of the two warring groups drank water on the two sides of this dhab. Those Afghans and Mughals whose horses had entered this dhab lied down on the ground to relax. Gian Singh has stated that this dhab existed in the village Hathur in District Ludhiana and not in Kutba. The village Hathur is beyond Kutba-Bahmania but at a distance of about 8-10 kms. When the Afghan and Mughal soldiers heard the ovation 'Jo Bole So Nihal Sat Sri Akal' from the Malva side they became awe-stricken and started retreating. The Afghans had also learnt from the local people that further on all the villages had Sikh population and also that the ponds of water were very sparse. The jathas which came from the Malva side encircled the caravan of Sikh families and proceeded towards the villages of Malva. The Dal Khalsa continued to face the enemy resolutely until this caravan had not gone beyond the reach of the enemy. Some writers think that the fight between the warring forces continued in the village Gehal, District Barnala which from the Malerkotla side is about 15 kms further away from Kutba-Bahmania. In this colossal war which was spread over several villages none of the sides can be called victorious. According to Sukhdial Singh in this war the Afghans suffered very heavy losses but because they were the attackers their loss was not highlighted and it is also possible that the number of casualities among the Afghans was more than among the Sikhs. For a long time no memorial was raised in the sacred memory of the Sikhs martyred in this Ghallughara, because the population of Kup-Rahira as well as Kutba-Bahmania was Muslim. Now in the sacred memory of the Sikh men, women and children martyred in this Ghallughara in the village Rahira Gurdwara Shahid Ganj Vadda Ghallughara Sahib has been established. Another Gurdwara Sahib with the same nomenclature also existed in its vicinity where a memorial of the martyrs has been established. The local railway station has been named 'Ghallughara Rahira Railway Station'. In the village Kutba in the sacred memory of the Martyrs Gurdwara Att Vadda Ghallughara Sahib has been established. Until 1970-71 in the village Kutba a Nishan Sahib was swinging on one side of the dhab. But now this dhab has been filled with soil and merged with the ploughable soil because this land has was allotted to farmers. A small Gurdwara named Gurdwara Dhab Sahib has been constructed at this place. 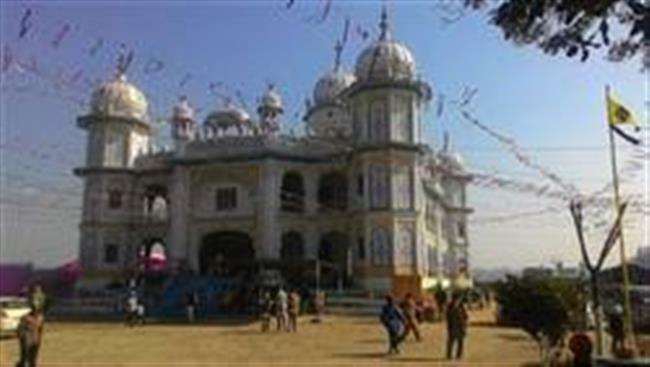 In the village Gehal within the complex of Gurdwara Sri Guru Har Rai Sahib a Gurdwara Sahib has been established in the sacred memory of the martyrs of this Ghallughara. When the Sikhs reached the villages of Malva the people of these villages came with multifarious food stuffs and milk. Every Sikh and every horse was injured. By setting up pitched tents their wounds were dressed. According to all the historians the total Ghallughara took place on February 5, 1762 i.e. in a single day in an area spread over 45-50 kms. and the villages involved were Kup, Rahira, Kutba, Bahmania, Gehal and Hathur. At that time except for Gehal all these villages had Muslim population. It was a horrendous massacre of the Sikhs undertaken by Abdali in a single day which aimed at annihilating them. But the Sikh soldiers also massacred the villagers of Kutba and Bahmania who had attacked the Sikh families. In this Ghallughara the Afghans underwent a heavy loss. Abdali had retreated because of this heavy loss. Abdali felt humiliated that in 1761 he had totally crushed the three lakh Maratha army but now he had not been able to maul down an army of 50-60 thousand Sikhs. Abdali had stopped fighting in the evening in the village Kutba-Bahmania. He was the first one to stop fighting. Sir Jadu Nath Sarkar in his book Fall of the Mughal Empire has stated that in this Ghallughara Abdali remained unsuccessful in mauling down the Sikhs. After about two months, on the event of Baisakhi of 1762 when the tired Khalsa became ready again, the first thing they did was to devastate the villages of Kup-Rahira and Kutba-Bahmania. The ruins near the Gurdwara Shaheed Ganj Vadda Ghuallughara Sahib, Rahira bear testimony to this destruction. Now on these ruins a 125 ft. long Nishan Sahib is swaying. The historians have some difference of opinion about the number of martyrs in this Ghallughara. Sir Jadu Nath Sarkar has mentioned that only 10,000 Sikhs were martyred. According to Teja Singh and Ganda Singh at least 10,000 Sikhs were martyred. Bhai Kahan Singh Nabha has stated that 15,000-20,000 Sikhs were martyred but he has further stated that in this Ghallughara the number of casualties among the Mughals including the local people was equal to those among the Sikhs. The Mughal writer and a commander of a contingent in Abdali's army Miskeen has stated the number of Sikh martyrs as 25,000. According to Bhangu in this Ghallughara 30,000 Sikhs were martyred. Beant Singh Bajwa has stated that 25,000-30,000 Sikhs were martyred and 10,000 were injured. According to Bhai Trilochan Singh (Vir Ji) 35,000-40,000 Sikhs were martyred. The booklet prepared by the Gurdwara Shaheed Ganj Wadda Ghallughara Sahib, Rahira states that approximately 35,000 Singhs, Singhnia and Bhujangis were martyred. The Encyclopaedia of Sikhism Part IV has mentioned that different historians have given different number of martyrs which varies between 20,000 and 50,000. It may be concluded that in this Ghallughara at least 40,000 Sikhs were martyred. The frantic Abdali was not satisfied even after killing about forty thousand Sikhs and getting an equal number of his people killed. After this massacre this enraged and frantic invader while going towards Lahore got the heads of all the Sikhs who met on the way cut off and loaded in carts. Upto 15 February, 1762 he stayed at Sirhind. During these days he got killed all the Sikhs in several villages and sent off carts loaded with 50-60 thousand heads of Sikhs to Lahore. In addition to this, from Sirhind to Lahore he entered all the villages and arrested all the Sikhs and took them along with him to be executed in Lahore. He reached Lahore on March 3, 1762. George Foster in his book Travels has reported that on reaching Lahore he got the heads of Sikhs arranged in the form of minarets. It is said that the walls of those mosques which he thought had been polluted by Sikhs were washed by the blood of Sikhs. The atrocities committed by Abdali on Sikhs are beyond description. On reaching Lahore, Abdali chalked out a plan to annihilate the Sikhs. He had learnt that in Punjab and northern India the Sikhs get rejuvenated and become fearless by a dip in the holy sarovar of Sri Darbar Sahib and thereby win in the battles. He reached Amritsar in the last week of February. To further torture the Sikhs he invaded Amritsar on April 10, 1762 at the time of Baisakhi. Sri Darbar Sahib was blown off and the holy sarovar was polluted with the blood of cows and was filled with garbage. The bungas which had been built for the pilgrims were devastated. All the Sewadars present there were killed. According to the historians when Sri Darbar Sahib was being blown off a flying pebble hit his nose and this pebble caused an incurable wound on his nose. After suffering the pain of this wound for about two years Abdali died a painful death. When on 17 October, 1762 on the occasion of Diwali 60,000 Khalsa gathered on the ruins of Sri Darbar Sahib to take revenge from Abdali, he also reached there along with his army. The battle continued from morning till night-fall. James Browne in his book History of the Origin and Progress of the Sikhs has reported that under the cover of darkness Abdali was compelled to run away to Lahore along with his army. The next day not a single solider of Abdali reached the venue of battle. As such the Singhs had taken revenge from Abdali. On 12 December, 1762 before leaving for Kabul he forced the governorship of Lahore on Dewan Kabuli Mal. Immediately after Abdali's departure Kabuli Mal sent messages to the Sikhs that they should come and assume the governorship of Lahore. During the period of Kabuli Mal's governorship the Singhs arrested pathans and brought them to Amritsar to do kar sewa of the holy shrine of Sri Darbar Sahib. In this way upto the Baisakhi of 1763 Amritsar was made neat and clean. The Sikh community can never forget the atrocities committed by Abdali on it. Vadda Ghallughara is a big wound in the hearts of the Sikhs. The Sikh community will remember the sacrifice of Sikh men, women and children martyred in this Ghallughara till the end of the world and will continue to pay its homage to them. Jai Jaikar Shaheedan Di !